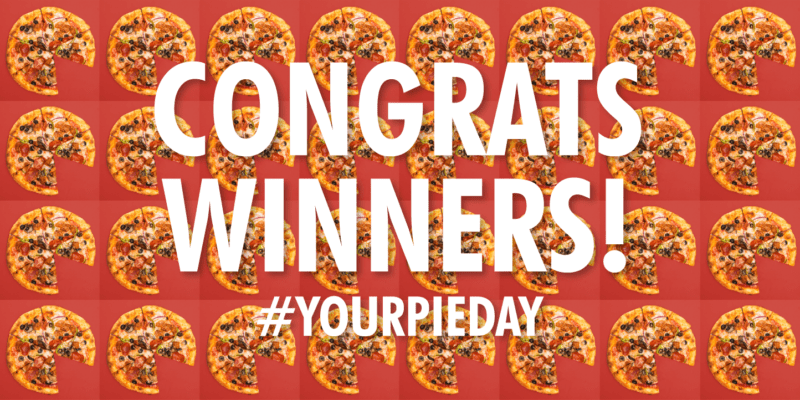 Congrats to the 56 winners of our #YourPieDay 2018 giveaway! Congrats to the 56 winners of our Pi(e) Day 2018 giveaway! If you were selected as a winner, please check your inbox via email/social media to claim your prize. We will be contacting you shortly. Thanks for participating! For complete giveaway rules, click here. Sign up for email updates to earn free pizza and get deals delivered right to your inbox. © Copyright 2019 Your Pie, LLC .